Frost & Sullivan. Three Megatrends That Will Drive Businesses Into the Next Decade: Cyber Security, Big Data, Artificial Intelligence. J'son & Partners. Understanding the Fourth Industrial Revolution in Russia. Baker McKenzie. Smart Environment: High Expectations for End-Users and Challenges for Regulatory Agencies. KPMG. Benefits of Using Access Control Automation. Theory and Practice of Selecting an IDM Solution. J'son&Partners. Services Powered by Smart Cities. Fill in the form online to visit All-over-IP 2017! Join All-over-IP 2017 to educate the Russian market on advanced technology, connect with key sales-partners, get quality leads, increase your brand awareness, network with the local industry. Companies interested in exhibiting in 2018 should contact Alla Aldushina at aldushina@groteck.ru or Olga Fedoseeva at fedoseeva@groteck.ru. Sponsored by AxxonSoft, Basler AG, dormakaba, Dahua Technology, Speech Technology Centre and Intra. Supported by The Russian Biometric Society. 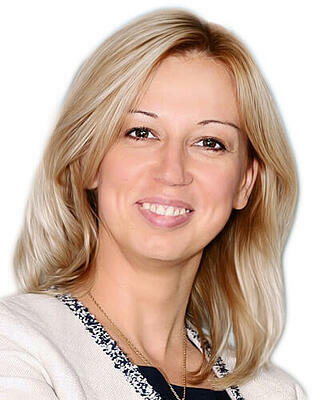 Photo: Alevtina Kamelkova, Advisor ICT Business Unit, Baker McKenzie.